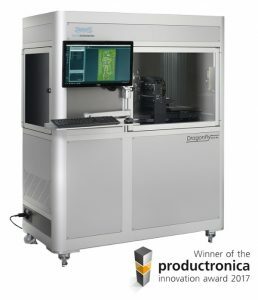 Nano Dimension, one of the leading additive electronics provider announced that its one-stop solution for 3D-printed electronics, the DragonFly 2020 Pro 3D Printer has bagged the 2018 New Production Introduction (NPI) Award. The prestigious NPI award is conferred by the Circuits Assembly and Printed Circuit Design (PCD) and Fab Magazines for electronics assembly equipment, materials, software and PCB fabrication. The DragonFly 2020 Pro 3D Printer won the prize for ink jet printer. The NPI Awards, which began in the year 2008 are conducted each year to honour and celebrate product excellence in a variety of electronics categories. The awards are declared by a panel of distinguished industry luminaries. The two publications work with these luminaries who select the industry’s top creative advancements in technology products for the year. Speaking about how the judges were impressed with the DragonFly 2020 Pro’s faster throughput, Mike Buetow, Editor-in-Chief of CIRCUITS ASSEMBLY and PCD&F said in an official statement, “As the entries to this year’s NPI Awards demonstrate, there is a real move toward faster throughput right now”. “This was noted by the judges, who were impressed with the trend to increase speed in the same machine footprint,” Buetow added. With the NPI Award, the DragonFly 2020 Pro 3D printer has added one more feather to its cap and to its growing list of accolades. Last year, the DragonFly 2020 Pro won the productronica innovation award in the PCB & EMS category. Productronica is the world’s leading trade fair for electronics which takes place to honour innovative product developments and manufacturing techniques within the electronics-manufacturing industry.